Clementine Paddleford is not a name you'll often hear and that's a crying shame. The woman to whom this singular moniker belonged did as much for food journalism as M.F.K. Fisher, James Beard, Craig Claiborne and Elizabeth Craig, and yet she remains in relative obscurity compared to her famous contemporaries, despite being declared the 'Best-Known Food Editor' by Time magazine in 1953 and reaching 12 million readers each week. 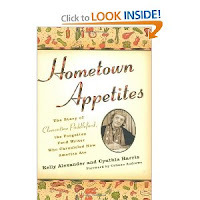 Thankfully, the story of who she was, what she did and what her work means to food writing today has been deftly told in Hometown Appetites by food writer Kelly Alexander and manuscript archivist Cynthia Harris. In the book's foreword, former Saveur editor-in-chief Colman Andrews recalled how he gave Alexander, then an editor at the magazine, the greenlight for a feature on Paddleford, based solely on his trust of the former's skill and story instincts. About her proposed subject, he frankly admitted he knew next to nothing. That a man as authoritative about food culture as Andrews had only a vague recollection of her is a good indication of how little-known Paddleford is in the current world of food writing on which she had such a profound, albeit forgotten, influence. Alexander subsequently turned her James Beard award-winning Saveur article into a full-length book, published in 2008, with the help of an amazing collection of articles, manuscripts, correspondence, sundry notes and nearly 2,000 cookbooks bequeathed by Paddleford to her alma mater at Kansas State University and curated by co-author Harris. With such a wealth of primary source material, a complete picture of the woman and writer was formed. Paddleford was born in turn-of-the-20th-century Kansas, the third child of a farmer turned grocer and a former teacher. By the time she was in her mid-teens, she was already a keen reporter for the local newspaper in Manhattan, KS - a neat bit of prescience of the place where her career would ultimately reach its pinnacle. Her life's work ranged from her first writing gigs at The Collegian at KSU and local newspapers, to freelancing for farm and agricultural periodicals, to regular features at Gourmet magazine and, finally, as food editor at The New York Herald Tribune from 1936 until it folded in 1966. In between, Paddleford was a liberated woman long before the women's liberation movement burned its first bra. She flew around the country and the world for her stories, then learned how to fly herself. She married her college sweetheart, but kept it a secret until they divorced 9 years later; Alexander writes that Clementine considered a wedded status to be a career disadvantage. She never gave birth, but she took in her best friend's orphaned daughter to raise as her own. And she beat horrible medical odds when she was diagnosed with throat cancer at the age of thirty-three years. Paddleford underwent surgery that left her with a hole in her throat, requiring her to breathe and speak through a sterling silver tracheotomy tube for the rest of her life, but she survived. During her prolific decades, she would write about American regional cookery as no one had done before her. Instead of simply offering up a list of ingredients and instructions on how to cook them, Paddleford told stories - about who made these recipes, where they came from and why they came to be. She wrote about how local specialties played a role during the 1940 Republican National Convention in Philadelphia, and chronicled the foodways onboard a Navy submarine. Best of all, she told the stories of ordinary women cooking in ordinary kitchens. Alexander shares so many interesting tales from her vast cache of papers that it is dizzying. Providing a bit of breathing space are recipes gathered by Paddleford during her travels throughout America. Although she never considered herself a gourmet chef, she had a keen eye for dishes that resonated with readers. By the mid-50s, Clementine was considered such an authority on food that she became the subject of newspaper and magazine articles herself. In 1960, Paddleford published How America Eats, a compilation of stories and recipes chronicling exactly what the title implies. But as unfair as Fate can be, it was just a year later that both Craig Claiborne, her younger competitor at the New York Times, and Julia Child released their own seminal works: The New York Times Cookbook and Mastering the Art of French Cooking, respectively². Coupled with the decline of the Herald Tribune, which shut down its presses the year before she passed away, Paddleford's fade into the background of American food writing was looming. Other food writers can only hope to achieve that same understanding. 2. Apple, R.W. "A Life in the Culinary Front Lines" The New York Times online. According to Kelly Alexander, this is just the kind of "unglamorous" recipe that Clementine Paddleford loved to feature - dishes to which her readers could relate and want to make. At least, that's how I felt when reading the recipe. Making it was as easy as mac'n'cheese should be, but the addition of egg yolks and beaten egg whites gave it an airy richness, just as it's name suggests. I would have provided the recipe here, except that I received conflicting replies from the publisher to my request for permission (one email gave the go-ahead, followed by another asking me to essentially jump through hoops). 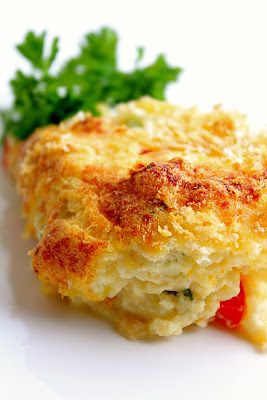 Fortunately, you can find the complete recipe posted online at Gourmet here. Pour hot milk over bread crumbs and stir in cheese. 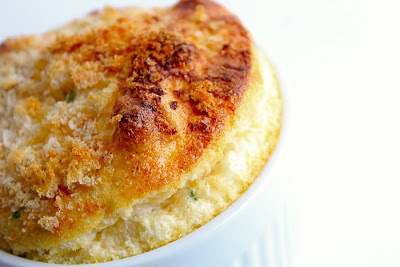 Set aside until cheese melts, then add macaroni. Add remaining ingredients except egg whites, which should be beaten until stiff, then folded into the mixture last. Pour into a greased casserole and bake for 35 minutes. Sounds like an interesting book - I'll have to keep it in mind for our when our "food memoir" genre comes up again in book club. I'd love to make (and eat!) 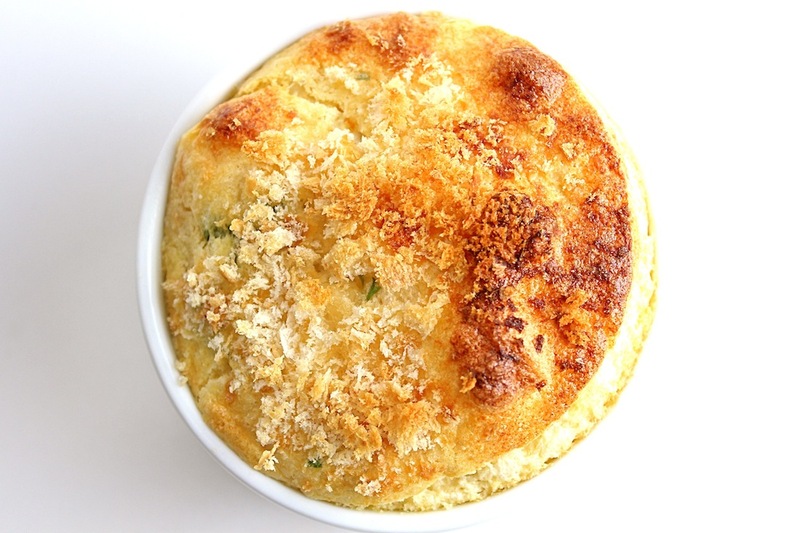 that mac & cheese souffle! What an inspiring post, Tracey! I love your quote about good food. Don't worry, I'll track down the recipe. Your photos are gorgeous! As always, enjoyed this & going off to bed inspired by your well-written exceptional piece! I was just reading about Clementine Paddleford a few weeks ago. She is so admirable both for the courageous way she lived despite the tube in her throat and for the way she wrote about good food and all those unsung heroes involved in the preparation thereof.